Toronto born, Brooklyn based, Clara Lofaro, began singing (as many artists have) in a local community church. Realizing her abilities for harmonies at an early age, Clara continued to study and perform music throughout her formative and high school years before accepting a scholarship at the Berklee College of Music in Boston. 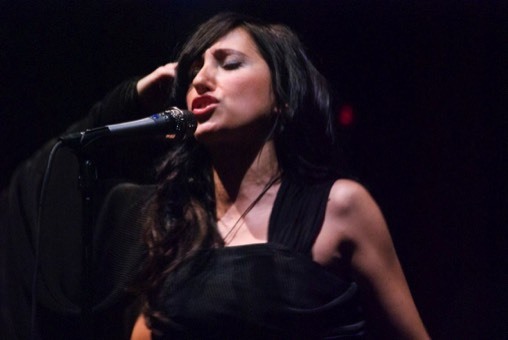 Her current EP release Air Lift Me (June 4, 2014) follows 3 earlier LP's, Perfect World, Black & Blue Pearl and a self titled LP, all of which were written by Lofaro. Air Lift Me contains the hit single Born To Love You (released earlier this year) charting at #21 on the Billboard Club Chart. Remixed by the legendary Chris Cox (formerly of Thunderpuss 2000), Richard Morel (Pink Noise) and other favs, it is no surprise that Born To Love You has DJ support across the United States and Canada. Air Lift Me features Producers Robert L. Smith (Lady Gaga, Glee, 20 Feet From Stardom), Christian Lohr (Andrea Bocelli, Joss Stone, Sting), Bart Migal (Bjork, Britney Spears), Josh Giunta for Love Science Music and Mastered by Dave Kutch & Michelle Mancini at The Mastering Palace, NYC (Alicia Keys, John Legend, Kesha). Lofaro is well sought after by her contemporaries to collaborate on their respective projects. When American Idol Season 11 finalist Erika Van Pelt was searching for material for her debut album, Lofaro was more than happy to jump in and deliver 4 songs. Van Pelt's Release (2013) entitled My Independence was nominated for 2 New England Music Awards including Album of the Year. Lofaro's single Just Smile (from her self titled LP) is the theme song for Vanity Fair's "Wipe on a Smile” national commercial campaign, 3 years running. Her songs have aired on various TV networks including NBC, ABC, MTV and Lifetime. She has performed alongside Stevie Nicks, Edwin McCain, Kimberly Locke, and Jeffrey Gaines and was the featured vocalist in the Disney Super Bowl commercial When You Wish Upon a Star featuring MVP players of the NFL team.